Endocrinology - Oak Lawn, IL 60453 | Diabetes, Osteoporosis, Obesity, Inc.
Our Oak Lawn endocrinology office is located 2 blocks south of 95th St on Southwest Highway, east of Ridgeland Ave, in Oak Lawn, IL. 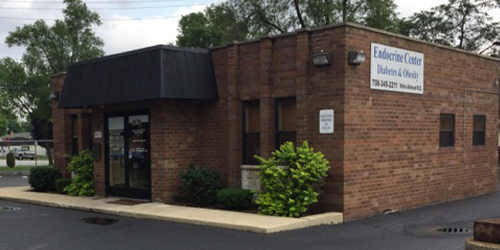 Our office is conveniently located to serve patients in the surrounding communities of Oak Lawn Illinois, a suburb of Chicago, including Chicago Ridge, Palos Hills, Hometown, Hickory Hills, Burbank and the Merrionette Park. Our endocrinologists, Dr. Abboud and Dr. Washington, both see patients at our Oak Lawn Endocrinology office. Call for availability and to schedule an appointment, or use our request an appointment form and we’ll contact you to get your appointment scheduled.